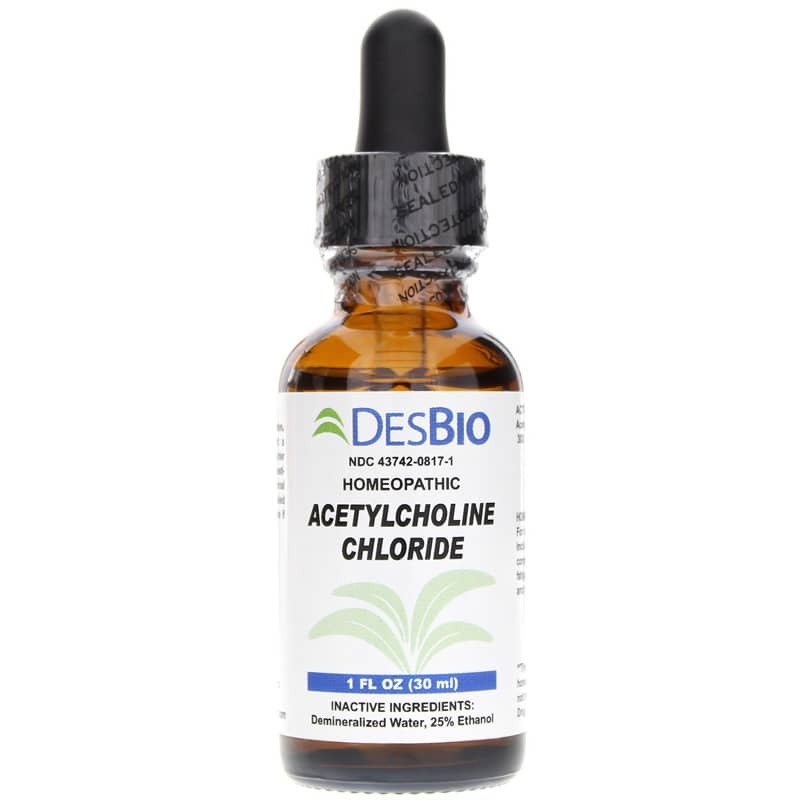 Get gentle, homeopathic support for all kinds of little aches, pains and annoyances that come with life with Acetylcholine Chloride from DesBio. 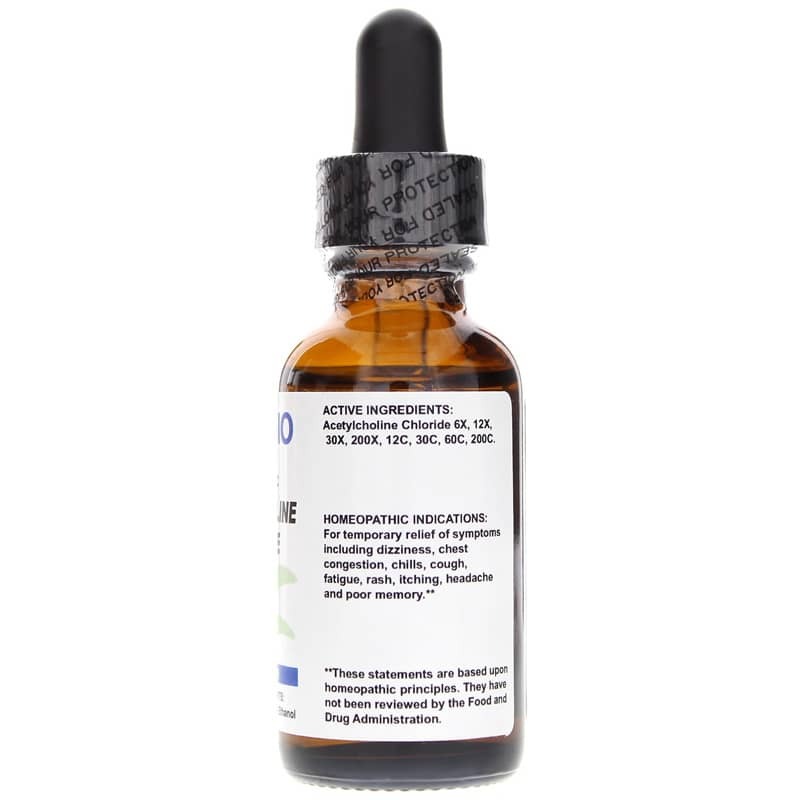 This homeopathic supplement provides the neurotransmitter acetylcholine chloride in a base of demineralized water and 25% ethanol for the temporary relief of a variety of minor and occasional symptoms. Acetylcholine chloride may provide support for symptoms including dizziness, burning throat, chest congestion, chest congestion, chills, cough, fatigue, rash, itching, headache, poor memory, shortness of breath, chest tightness, and wheezing. A major excitatory neurotransmitter, acetylcholine chloride helps to control sensory input and muscular output signals, memory, mental focus and sexual activity. It's important for the smooth flow of nerve impulses and is a chemical mediator released by cells, playing many roles in the actions that control our health. For a full range of potencies, this formula includes acetylcholine chloride 6X, 12X, 30X, 220X, 12C, 30C, 60C and 200C. Get gentle support for all of life's little bothers. Order Acetylcholine Chloride. 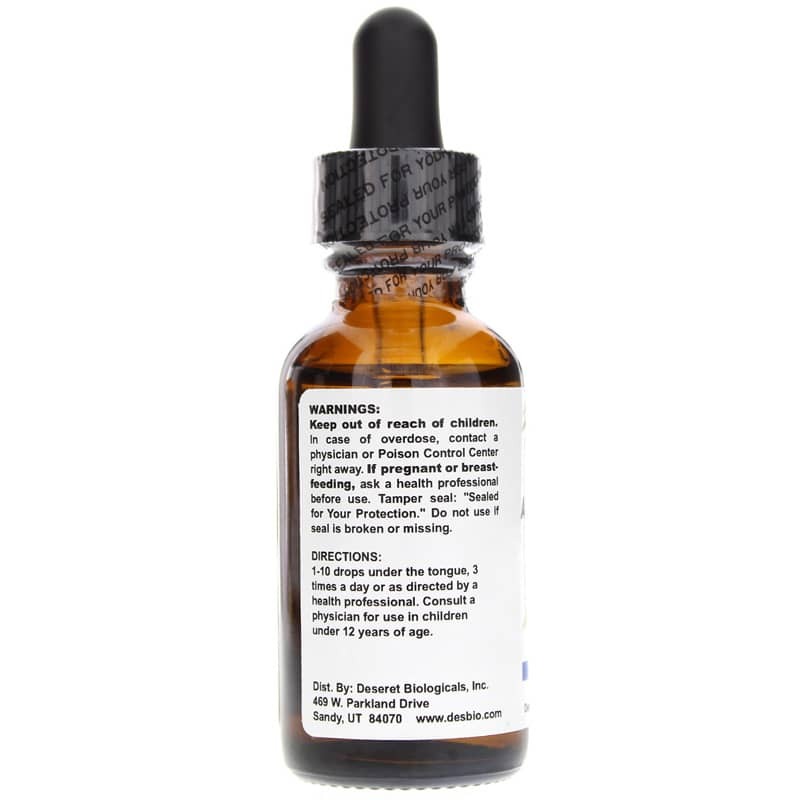 Adults: 1-10 drops under the tongue, 3 times a day, or as directed by your healthcare professional. Consult a physician for use in children under 12 years of age.